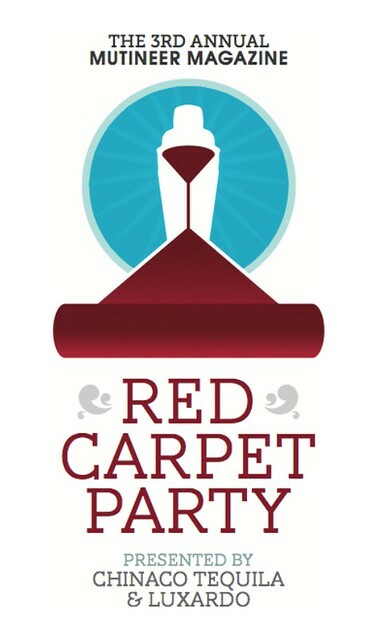 Beverage influencers from across the country will come together to celebrate drink culture and the exciting cocktail renaissance in Napa Valley on November 6, 2011 at the 3rd Annual Mutineer Magazine Red Carpet Party at the historic Napa Valley Opera House. After two years in Hollywood, this renowned beverage event moves to the epicurean Napa Valley, whose glamorous food and wine culture needs no introduction. Mutineer is thrilled to be partnering with two of Anchor Distilling’s iconic spirits brands on the event: Luxardo, the legendary Italian distillery now in its sixth generation of production, and Chinaco Tequila, which introduced the United States to ultra-premium Tequila in 1983. In addition to the hand-crafted premium spirits brands, the Mutineer Red Carpet Party will feature Chinaco Tequila and Luxardo-infused canapés led by Millennial Napa Private Chef, Gary Penir of Cuisine GP. Chef Penir will focus on savory bites alongside rising star Pastry Chef Sara Wurst, who will create sweet and unforgettable cocktail inspired morsels. For non-alcoholic beverages, Seattle-based DRY Soda will be pouring its line up of fruit, flower and herbal sodas, and Blk. Water will be pouring its unique black water infused with fulvic acid. Video footage from the cocktail contest and the event at large will stream live from MutineerMagazine.com and from ToutSuite Social Club, a virtual space where real life intersects with technology. “We are excited to partner with Mutineer on this unique approach to a cocktail competition. King’s Ginger is fast becoming a staple behind some of the best bars in the U.S. and abroad. We want to highlight the riches of the liqueur with the talent of Napa Valley’s finest gems,” said Rusti Porter, Director of Marketing, Anchor Distilling. The event is by invitation only; however, Mutineer readers will have the chance to win a limited number of tickets through social media contests in the weeks leading up to the festivities on November 6th. WHEN: November 6 // 7:30 – 10:30 p.m.